We identify, protect and preserve our contemporary scientific archival legacy documents by locating, describing and depositing them in archives for access in perpetuity. We are also developing blockchain technology systems that will transform cultural and heritage documentation later in 2016. Science is the foundation upon which our society is built, and yet the records that chronicle its achievements are too often overlooked. The manuscript collections of papers of scientists reveal their scientific adventures, through notebooks, unpublished writings, research findings, diagrams, photographs and correspondence. The CSA aims to continue this adventure by releasing the hidden information in the papers for new uses. It helps people research the history of science and understand the contribution of science to the modern world. The CSA is concerned with scientific heritage through preserving and disseminating knowledge in the papers of UK scientists. It is a collaborative enterprise bringing together scientists, archivists, historians and technical innovators worldwide. You can view and search some of our online catalogues and descriptions at the A2A website.  The CSA is the successor body to the National Cataloguing Unit for the Archives of Contemporary Scientists. Extracts from the Sir Denis Rooke archive. Sir Denis was an engineer and Chairman of British Gas. 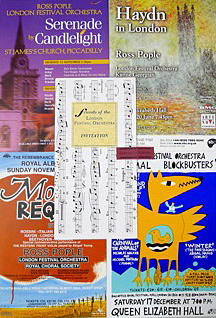 His interest in classical music lead him to become Chairman of the London Festival Orchestra in the 1990s, leaving a wealth of material relevant to the history of British orchestras when he passed away in 2008. The CSA provides data useful for today’s scientists as new technologies can resuscitate older ideas and lead to innovation. It reveals hidden collaborations and previously unknown links. How did a particular scientist work? Who were their colleagues and collaborators? What was their family life like? What were their hobbies and other interests? Why did they choose this field of study? What was their lasting contribution? We preserve and describe unique papers relating to the history of science. We have been preserving the story of the history of science and its cultural impact for more than 40 years. We reveal hidden and forgotten stories about science. We unlock the potential of science archives for research, study and enjoyment. We are currently developing systems based on blockchain technology that will transform cultural and heritage documentation in 2016/17. More information about this development will be published here soon, but if you would like specific details then please contact us (below). Use of highly sophisticated unmanned aerial vehicles (UAVs) – drones - for heritage purposes, delicate repair and inspection in heritage buildings and difficult to reach art works and artefacts. A system in development and proposed by Anne Barrett and Geoff Browell in 2015. The CSA welcomes support and donations and is a registered charity. The CSA is registered with Companies House No. 7090482 and the Company is described in its Articles and Memorandum as a Charitable Company, and is a registered charity in England and Wales No. 113803.